Photo: Hot Headed Gal was much the best in her debut at Charles Town Races. Photo by Coady Photography. 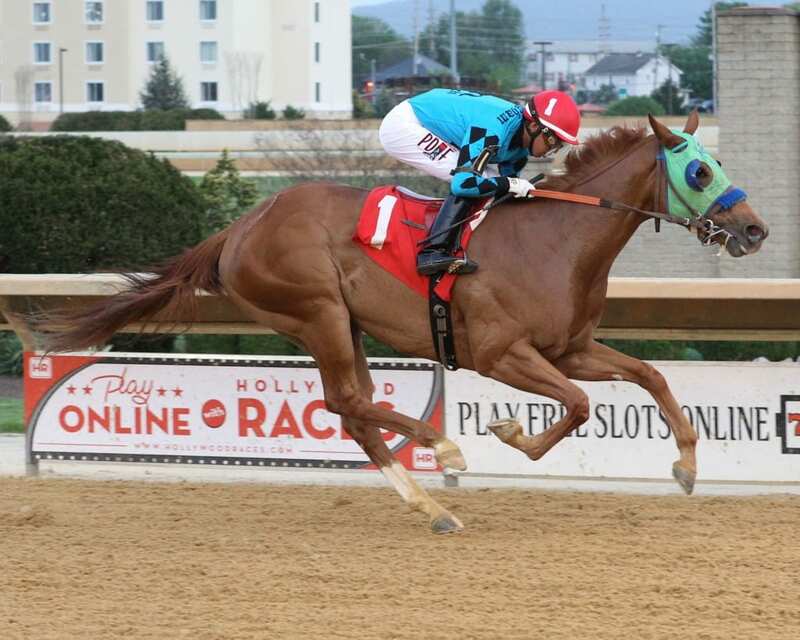 A pair of three-year-old fillies looking — for one reason or another — to recapture their debut form clash in this allowance contest at Charles Town. #3 General Fund was a dominant winner at first asking, cruising to a three-length win under what the chart called “moderate handling” while earning a BRIS speed figure of 77 — among the best in the field. Even better, the runner-up and show horse both graduated in their very next starts. The bad news? That was back in November 2017 — just shy of one year ago — and the David Walters-trained New York-bred daughter of Justin Phillip has not raced since. A $57,000 purchase by Michael Miller from the Fasig-Tipton Midlantic 2017 two-year-olds in training sale, General Fund has been training well enough towards her return here and will have top local pilot Jose Montano in the irons. In the last week, Montano has had nine mounts, and all nine have finished in the money, with four of them winning. The other filly in search of a new start is #2 Hot Headed Gal. The Run Away and Hide filly, trained by Jeff Runco for Rockingham Ranch — owners of Roy H, who has won back-to-back runnings of the Breeders’ Cup Sprint — had a similarly splashy debut, winning off by seven in a one-turn dash at Charles Town back in May. But she’s been in declining form in three starts since that win. She was runner-up in a local allowance, then fifth, and finally, in August, sixth, beaten by a dozen lengths. She hasn’t raced since and shows just a single workout in the interim. Bug rider Adrian Flores will do the honors. Possible spoilers include #4 Solarte (4-1) and #5 Wild Cat Grace (5-1). The former makes her second career start after having taken a maiden special weight test on debut at Charles Town in early October. The latter took a dozen shots to break her maiden, finally doing so last out at the $10,000 claiming level — but at Gulfstream Park, providing, if nothing else, an interesting point of comparison.